Are you in need of air conditioning, boiler, furnace or plumbing repairs, installation, or maintenance for your Greater NY home or business? 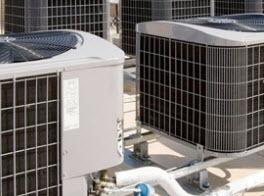 Whatever your requirements, the expert technicians at Agape Air Conditioning, Heating & Plumbing are available to repair, service and install all makes and models of heating and cooling equipment available on the market. Our exceptionally skilled service and installation technicians will arrive promptly in a fully equipped vehicle for your complete convenience. At Agape Air Conditioning, Heating & Plumbing, we offer quality products that are both energy efficient and the most technologically advanced available to heat your home or business. Our experienced staff are highly trained and equipped with all the necessary knowledge to help guide you through the selection and installation process from beginning to end. At Agape Air Conditioning, Heating & Plumbing, we provide 24 hour emergency furnace repair services to ensure your complete customer satisfaction. Our fleet of fully stocked and well maintained vehicles contain all the necessary parts and products for our technicians to complete the repairs promptly and get your heat back up and running as quickly as possible. By taking advantage of our cost effective tune-up & maintenance programs, you can prevent the risk of premature breakdowns, boost comfort levels and increase the efficiency of your furnace with our cost effective maintenance program. Many homes are equipped with furnaces to meet their heating requirements but boilers are another option for homes in Greater NY and the surrounding areas. A boiler is designed to heat radiators throughout your home instead of using ductwork. At Agape Air Conditioning, Heating & Plumbing we can provide your home with a new boiler that is durable, efficient and reliable or we can repair and maintain your existing boiler to ensure that you have the comfort of heat when you need it the most. At Agape Air Conditioning, Heating & Plumbing, we deliver the precision, comfort and performance that you need all the while ensuring that you are saving the highest possible amount on energy savings. 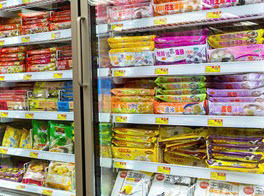 Our experienced sales staff will work with you to select the best options available in air conditioners for both your home and budget while our installation & maintenance specialists will ensure that your newly installed equipment is working at peak performance levels. At Agape Air Conditioning, Heating & Plumbing we provide quality repair services 24 hours a day, seven days a week. Our highly trained and skilled technicians are on standby to perform cost effective air conditioning repair services when you need them the most. 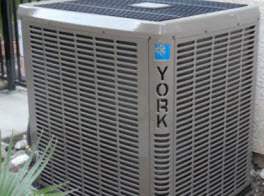 Maximize your comfort and save money with our comprehensive air conditioner maintenance plans. Our certified technicians will inspect your system and provide the needed repairs and maintenance to ensure that your system is working at optimal performance levels all summer long. 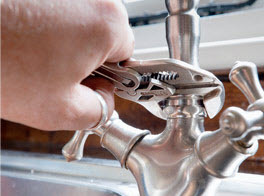 At Agape Air Conditioning, Heating & Plumbing we offer 24/7 emergency residential and commercial plumbing repair services. From minor leaks to major sewer issues, you can rely on our licensed plumbers to repair and eliminate plumbing problems quickly. Our comprehensive list of plumbing services include: Toilet Repair & Installation, Clogged Drains, Fixture Replacement, and Inspection, Maintenance & Repair of Pipes and Sewers, Water Heater Service & Repair, Sump Pump Repair, Installation, Maintenance & Much More!